Lover's Intentions~Soul Love? Or Pure Lust? 18 yrs~Popular and gifted! What are Lover's thoughts/feelings/intentions? Will it go anywhere? Know where you stand now. Optimum clarity/accuracy in 3+ min calls. 15 Min+ Callers Rcv Mins! Psychic from birth, I have been a top rated, popular, online psychic advisor for the past 18 years, and on Keen.com since 2007. I am born under the sun sign of Libra, with (highly psychic) Pisces and Scorpio influences in my chart, which gives me a very balanced perspective in interpreting your energy or the energy of anyone you ask about, providing you with all the facts you need to make good choices and decisions in life and in love. My Psychic gifts have been developed over many years using various modalities such as meditation, learning and sharing via master psychic teachers, gifted astrologers, tarot readers, and other spiritual mentors. I am tested, proven, certified, "authentic." I am a consistently "5 star" reader with repeat clients around the globe. Utilizing my highly attuned and accurate Spirit Guides, the Tarot for clarity/details, and Astrology and Numerology when appropriate, my readings are highly personalized and full of specific details other advisors may miss, getting to the heart of all you need to know to experience more fulfilling relationships. I specialize in Soulmate Readings, New Love (thoughts/feelings/intentions), Online Dating (What are thoughts/feelings of prospective love interest? Is he/she worth my time? ), Healing from a Lost Love or Broken Relationship so you can prepare for a better love experience for the future. I also cover life topics--Life questions, Life Goals, Finances, Career/Business. NOTE: You cannot realistically expect a great reading in 3 minutes or less. It takes time for even the most experienced and gifted lifelong psychic to connect with you and interpret an influx of information coming thru about you/your situation from spirit guides. I strive to do the very best job for you in reading your energy. This stated, please add enough funds before you contact me, and allow adequate time for a strong and in depth connection from the start (without interruptions to add money), so you can leave your reading feeling like your questions were appropriately answered. 1 minute callers will be blocked. Enchanted Enlightenment has been a user of Keen since 2007. 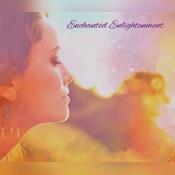 Getting Love & Relationships advice from Enchanted Enlightenment through www.keen.com is safe, secure and confidential.